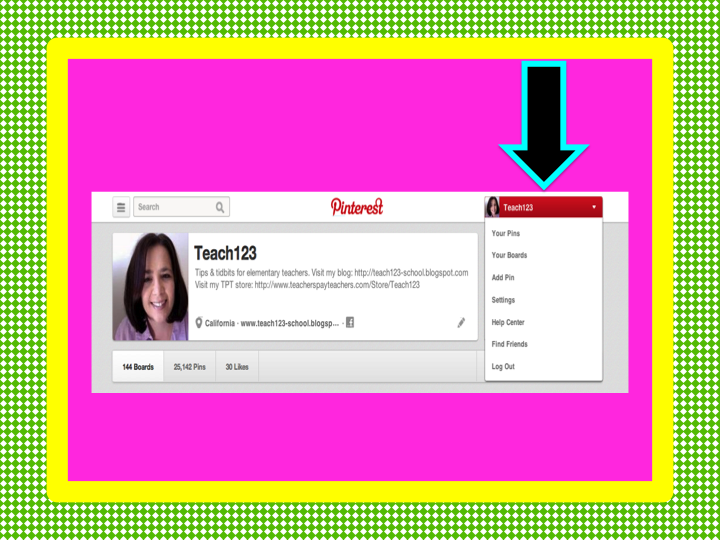 Yesterday I wanted to do a little spring cleaning with my Pinterest Boards. 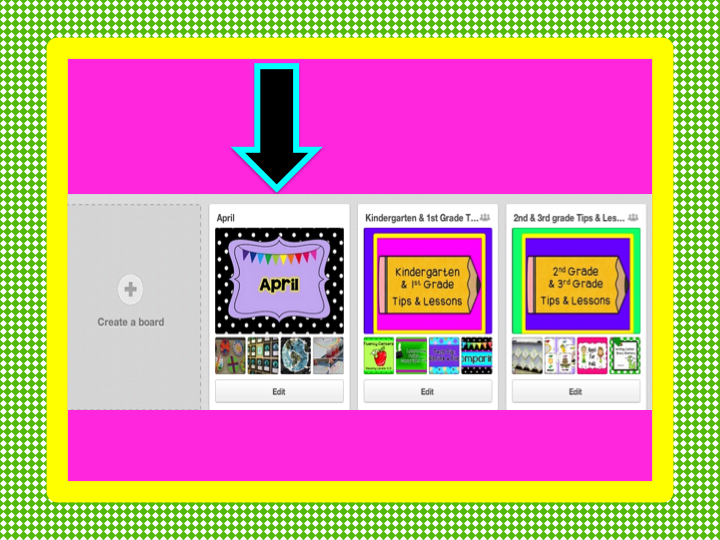 After cleaning up some of my boards I wanted to rearrange some of them, but I couldn’t find the icon that I clicked on with the old Pinterest system to do this. Have you experienced this yet? I looked in the Pinterest help section and googled “how to move Pinterest boards” but there wasn’t much in cyberspace to help me. Through trial and error this is what I found. Click on your name one time. After this you are in editing mode. You can drag and drop your boards where you would like them to go. When you finish you have to click on your name again to save your changes and to exit the editing mode. I added 2 new boards yesterday that you might want to check out. One is for Kindergarten and 1st grade teachers. The other board is for 2nd and 3rd grade teachers. 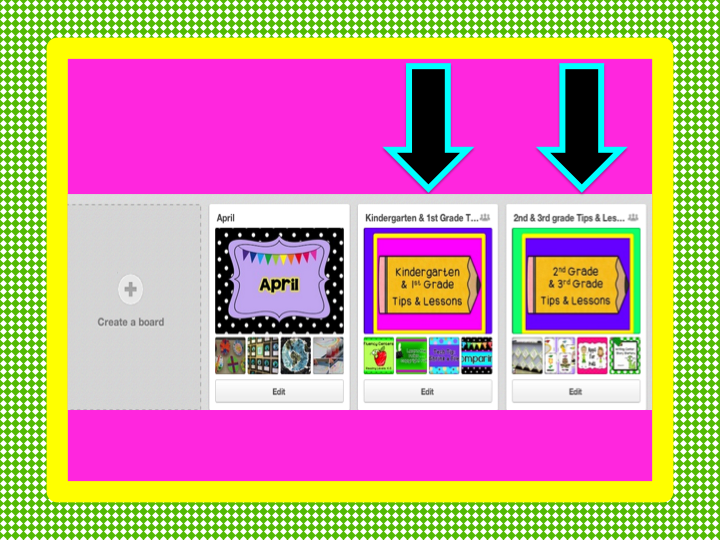 These boards will have teaching tips, blog posts, lessons (free and $). Only 20% of these boards will be paid for lessons. To make it easier for my followers to find seasonal ideas, I will move my monthly board to the first row each month. My April board has ideas and lessons for Spring, Easter, and Earth Day. 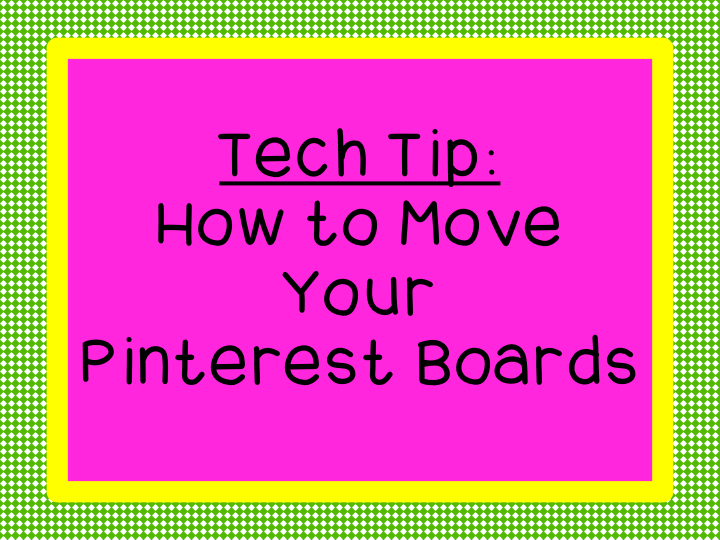 I am joining my friend Fern‘s weekly tech tip linky party. Head over there to find more tech tips. I LOVE this!!! Thank you for spreading your knowledge friend!! Rookie & Retired: A mother daughter teaching blog. Thank you so much. I've been wanting to do this for some time now but didn't know how. Thank you! I've been trying to figure out how to do this all week. Awesome advice! Pinterest is so awesome! And it's such a great resource for bloggers! This must not work on the iPad – I'll have to try the computer. Thanks! I got this, but is there a way to rearrange pins on a board? Thank you for sharing! Couldn't for the life figure out how, only to discover it was actually so simple!